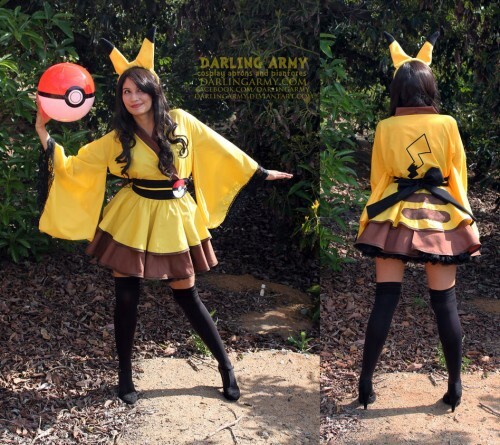 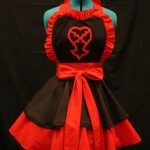 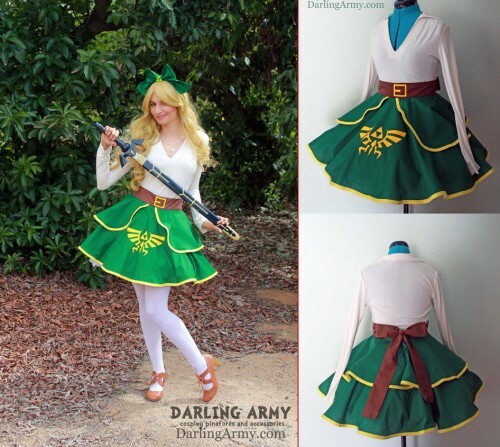 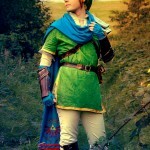 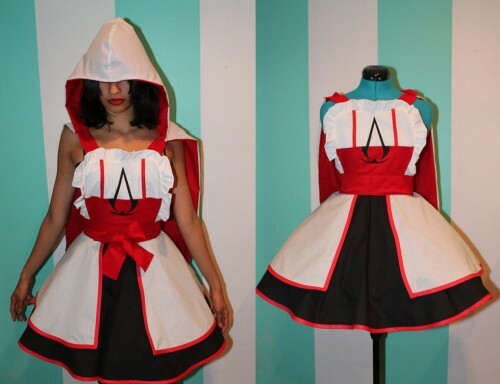 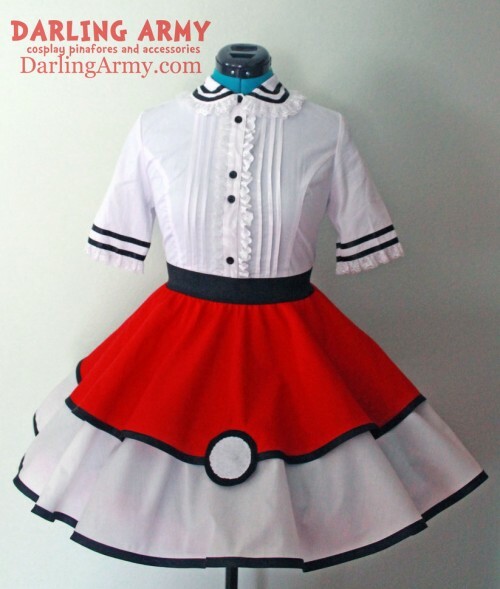 DarlingArmy, on deviantART and Facebook, has created a very wide array of nerdy dress-up items. 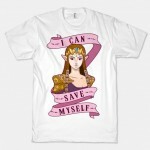 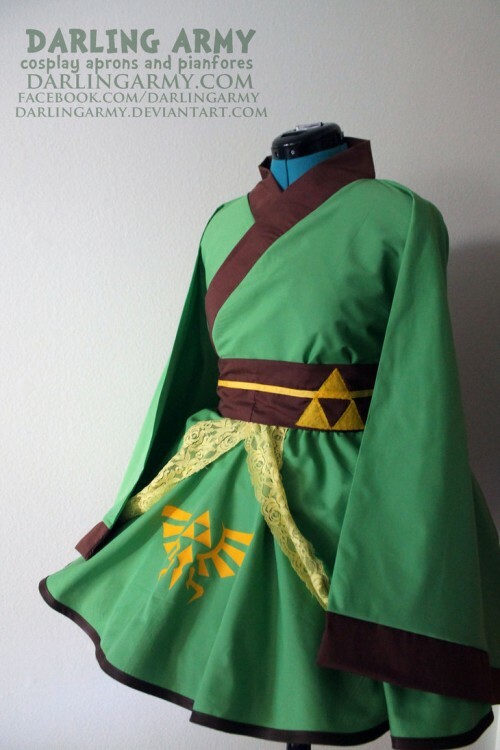 I’ll show you some of the gamer ones, including the Zelda kimono dress above. 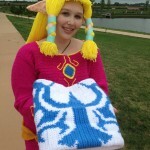 Check out her gallery for a whole lot more.